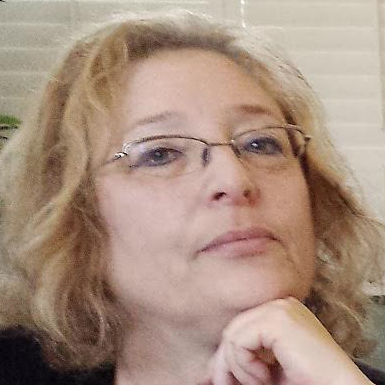 Anti-Semitic mailing worries Sacramento professors – J.
Sheree Meyer, an English professor at Sacramento State, is no stranger to hate mail. "I received a 'you're gonna burn in hell' letter last fall at my home, postmarked in Redding, and that was disturbing," she said. But the eight-page, anti-Semitic diatribe she received about a month ago really jarred her. "This one threw me because it came to my professional address. It was a Monday morning, and this was the first piece of mail I opened. It sure cast a pall on the rest of the day." Meyer was one of dozens, possibly even hundreds, of faculty members on California State University campuses to receive the ugly treatise in their office mailbox. Titled "Anti-Semitism — Found," the "essay" was addressed to certain professors and college presidents. Phone messages inquiring whether personnel at San Francisco State, Sonoma State or San Jose State received the mailing were not returned. The mailing was postmarked from a small town in Illinois, outside of Chicago. The essay is unsigned, the sender unknown. "It seems to be the year for such things," said Meyer. Professor Robert Platzner, head of the religious studies department at Sacramento State, a college in the California State University system, was equally disturbed by the mailing. Platzner, who like Meyer is Jewish, said he, too, had received hate mail in the past. "But in light of the synagogue bombings" last summer in Sacramento, he said, "I'm taking it a little more seriously than I usually do. But I'm not sure how to react. To ignore it doesn't seem appropriate, and to give it too much weight can also have negative consequences." The action taken by Sacramento State President Don Gerth, who also received the mailing, left Platzner feeling uneasy. "The president made some remarks, the usual platitudes about it," said Platzner, "and he has put together a team to investigate racial and ethnic tension on campus, in response to a number of incidents that have happened recently. But that's all. "I'm a little disappointed in his response," he added, "and I find it a little disturbing, since this isn't the first time we've gotten something of this nature." Gerth said he turned the material over to postal inspectors. He also mentioned the mailer during a previously planned meeting of a regional commission on hate crimes, which was held recently to deal with the "other incidents" that have occurred on campus. In addition, Gerth said that a "series of activities addressing these problems" is being put together. As for the mailing, though, "it's probably not illegal," Gerth said, "just immoral and unethical, and I don't think anything else can be done." Gerth is probably correct. Jessica Ravitz, associate director of the Anti-Defamation League Pacific Central region, said her office had received dozens of calls about the material. The essay was sent not just to academia in California, but to people in government, media and religious institutions throughout the United States and Europe. The ADL is instigating a mailing of its own. "We're sending letters to chancellors, presidents and faculty unions of these campuses, and the chiefs of police in the various cities, to let them know that this is happening, and that they have not been targeted personally," Ravitz said. "We don't know how we can prevent this type of thing from happening. All we can do is educate people. I find it extremely frustrating. It's such a disturbing piece of material, and there is so little we can do about it." This particular essay has apparently been around since 1995, and has made the rounds at various campuses across the country and in Europe at intervals since then. All of the mailings are postmarked from the zip code of 60701, an unincorporated area northwest of Chicago, with no return address. The latest mailing seems to have gone out around Feb. 5. Sometimes the essay is accompanied by a cover letter, signed "Author of the Essay," although it is not known whether this is the work of an organized group or of an individual. The essay attempts to pass itself off as a scholarly work, and is broken down into several sections such as "The Nature of the Jew," "The Holocaust," "Jewish Academia" and "Jews, Jews, Everywhere." Platzner said, "This is not the work of an academic, but neither is it the work of an illiterate." Jeffrey Brodd, a non-Jewish member of the religious studies faculty at Sacramento State, agreed with Platzner's assessment. Brodd said he was "floored" by the material. "The discrepancy between the integrity, intellectual or otherwise, that would prompt someone to think this way, and the eloquent writing style, and the attempt at scholarship — the pseudo-scholarship — and the amount of effort [it takes] to produce something so vile," said Brodd, "appalls me." The pseudo-academic guise disturbed a number of recipients of the mailer, including Meyer. She said most of the non-Jewish recipients she spoke with simply threw out the material. The fact that both Jews and non-Jews received the mailing actually helped ease Meyer's worries. "I didn't know if I'd been personally targeted as a Jew," said Meyer, "and it wasn't until later that I learned that I hadn't been." The only [non-Jewish] colleague she knows of "who became alarmed and responded to it was an African American," she added. "We have had a few incidents here lately," she said, "There was a bomb threat called into the ethnic studies office in December." There was no immediate official response to the incident, but eventually, the president appointed an administrator "to look into it," Meyer said. "I got a letter from him just the other day, saying I'd been identified as a Jewish faculty member, and asking if I was interested in becoming involved with his task force." Regarding the essay, the ADL's position is that it contains no direct threat. However, some might interpret the essay's concluding thoughts otherwise. The last line, just before a recommended reading list that includes "My Awakening" by David Duke, reads, "It would be a tragedy of enormous dimensions if we sit back, do nothing, and allow these despicable people [Jews] to lead us to our destruction."